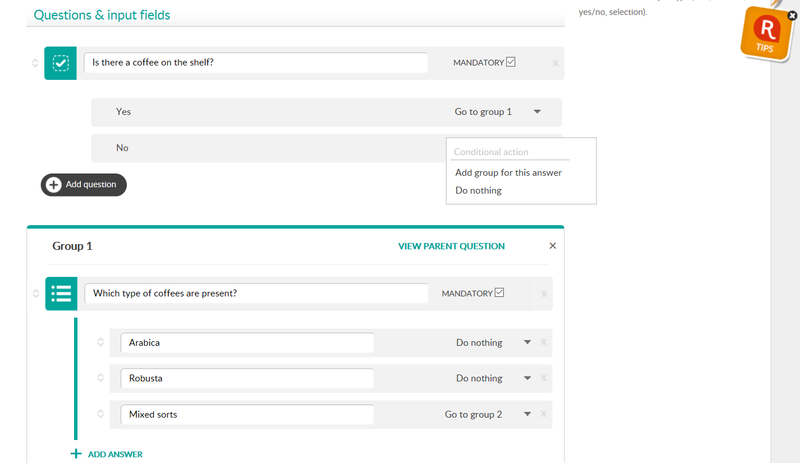 Repsly now lets you customize the behavior of your survey/audit/check lists based on multiple conditions. 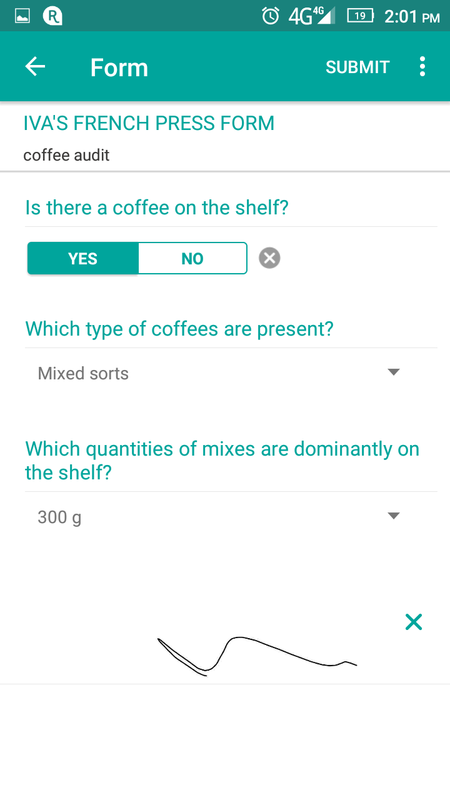 Instead of piling up numerous fields for Reps to answer, newly implemented form branching logic effects instant change in the mobile flow according to the responses to specific questions. 2. Click on New Form and then choose wether you want to start a new form or choose one already in your library. 3. Then click the add a question tab at the bottom of the page. By pressing the green square next to the question field you may also choose what type of question you want to ask (ex: Yes or No, etc.). From here, You may choose a "conditional action" based on their response. For example, If a rep responds with "Yes" to a question that you posed, another series of questions may pop up to further evaluate their response. NOTE: You cannot have some question names, so if you are setting up a form where you need to ask for the same information twice, please add at least one differentiating character to each new question. 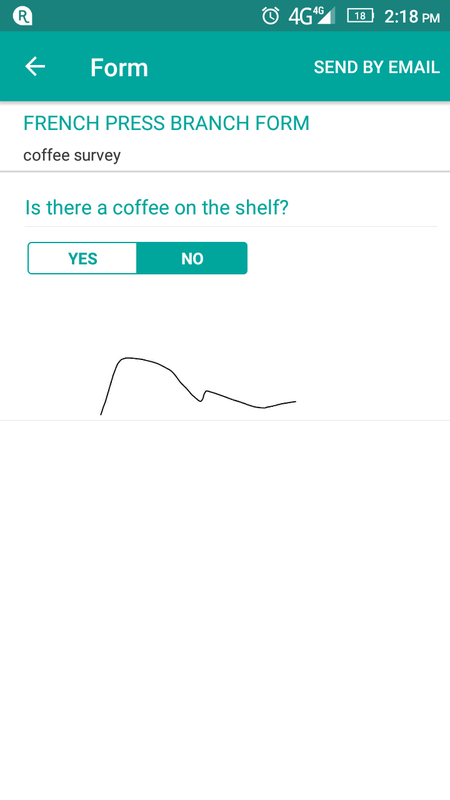 Question 1: Is there a coffee on the shelf? Question 2: Which types of coffee are present? If the questions don't apply, a Rep can answer with a different set of questions (option: Add Group for this answer/Go to Group X) or skip that set of questions altogether (option: Do Nothing). When the Form is filled on the rep's end, a simple signature and clicking on Submit finish the process. A rep can then email this form as he would do with his standard forms.